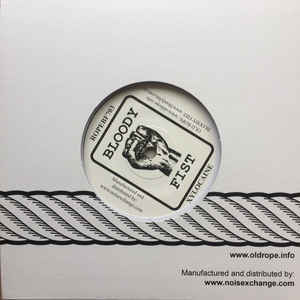 three tracker release by bloody fists special imprint old rope with xylocaine to bring you breakcore & speedcore on a little 7inch. comes in printed sleave. tracks A & B1 originally appear on Live At The Slaughterhouse - May '95.